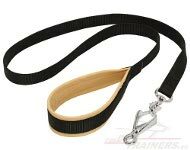 Leather Leash for Daily Dog Training. Leather Leash for Daily Dog Training. What objects do you usually imagine while talking about sessions of obedience with your dog? 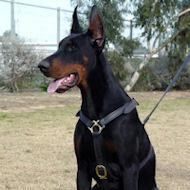 Most probably, it is a good reliable leash, allowing you to keep your doggy closer. Obedience is one of the most important abilities you have to teach your dog, as his behavior and your reputation depend on it. 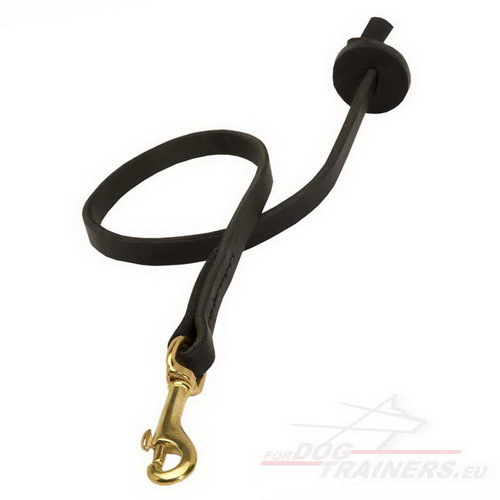 Turn this training into delight thanks to this Short Leather Leash, so well thought-out that you can take it everywhere just putting into the pocket! 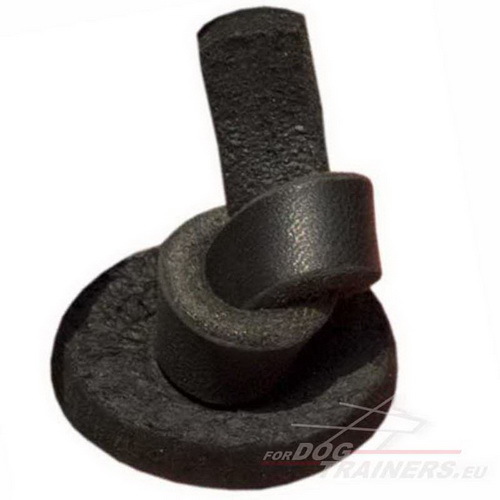 This amazing training tool is made of full grain leather, and it guarantees that the product is long-lasting and very pleasant to hold. The stitches you see are hand made. Its snap hook is not just a part of leash construction, but also a stylish decoration - a rust-resistant detail with golden shine which does not tarnish. Should you pay a fortune for this premium quality product for dog training? Absolutely not! 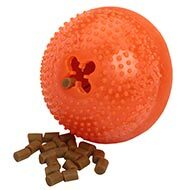 Add this product to your shopping cart and enjoy effective obedience training every day and everywhere! Are there any special recommendations as to treating this Leather Dog Leash? 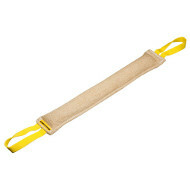 As all objects from leather, this leather leash should be treated with water repellent and leather conditioner. 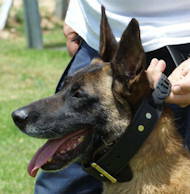 They will not only clean the leash but also improve its look. Do not wash this leash with water - otherwise the item would be spoiled. 1. My favorite item always in my pocket awesome when working on off leash obedience. 2. I got my order in. I am happy with everything. Thank you! 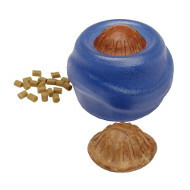 Please do not hesitate to take a look at other products of excellent quality for your lovely dog in our store!